Little Valley, NY - John H. Cross, 76, of Little Valley, NY passed away on Friday, October 26, 2018 at UPMC Chautauqua WCA in Jamestown, NY. He was born on July 6, 1942 in Mansfield, NY, son of the late Willis and Arminda (Burdick) Cross. He married the former Sue Bowen who survives. Mr. Cross was a proud US Marines Veteran having served in the Vietnam War from 1967 to 1972. 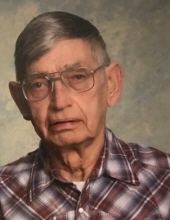 He was also a lifelong farmer, having worked on his family farm, Crossfire Meadows, in Mansfield since he was 16 and after retirement, continued on to help at Dutch Dressage for 13 years. Mr. Cross loved his family, especially teasing and playing with his grandchildren and great-grandchildren. He enjoyed having such a close-knit family as well as playing cards, especially euchre. Mr. Cross was also previously a Little Valley Central School Board Member and served as Board President. Besides his loving wife, Mr. Cross is survived by a son, John W. Cross of Little Valley, NY and two daughters; Deborah (Vern) McMillen of Randolph, NY and Lori (Rick) Antholzner of Little Valley, NY. He is also survived by a daughter-in-law, Karin Cross-Smith of Penfield, NY and three sisters; Helen Gifford of Randolph, NY, Laura Monsour of Little Valley, NY and Shirley Smith of Ellington, NY. Also surviving are ten grandchildren; Kaitlin (Bryan) Wilson, Alysia (Jeff) Durow, Emily Salim, Courtney Antholzner, Alison Antholzner, Mason Cross, Deven Cross, Lydia Cross, Mitchell Cross, and Andrew Cross as well as several great-grandchildren, including three special great-grandchildren; Austin, Aiden, and Carter, and several nieces and nephews. Besides his parents, Mr. Cross is predeceased by a son, David Cross, five brothers; Frank Cross, Norman Cross, Robert Cross, James Cross, and Gordon Cross, a sister, Doris Phillips, and a granddaughter, Kristin. The family of John would like to sincerely thank all the wonderful staff at UPMC Chautauqua WCA for their tender care and support. In lieu of flowers, memorials may be made to the Cattaraugus Ambulance Service, the Little Valley Ambulance and Volunteer Fire Department, or the Cattaraugus Free Library. Arrangements are under the direction of Mentley Funeral Home Inc. 411 Rock City St. in Little Valley, NY. To send flowers or a remembrance gift to the family of John H. Cross, please visit our Tribute Store. Little Valley Vol. Fire Dept. "Email Address" would like to share the life celebration of John H. Cross. Click on the "link" to go to share a favorite memory or leave a condolence message for the family.